Meet the men responsible for Rome's rise---and fall! 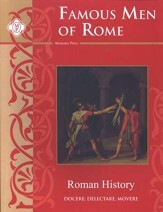 Black-and-white illustrations and intriguing profiles of Cincinnatus, Pompey, Julius Caesar, Augustus, Nero, Trajan, Marcus Aurelius, Constantine, and other larger-than-life figures richly detail the history of the empire through the trials and tribulations of its champions and opponents. Includes maps and a glossary of people and places. 140 pages, softcover. This year long workbook course comprehensively covers the Famous Men of Rome text. Each of the thirty workbook lessons includes famous quotes, a drill of key people and places, ten vocabulary words, 5-10 comprehension questions per lesson, and an activities section that includes map work, timelines, discussion questions, and art projects. 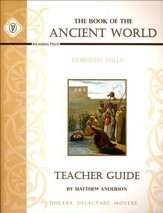 The program also comes with 8 pages of supplements including maps of ancient and modern Europe, a "Who said That?" Worksheet, and Drawing pages. 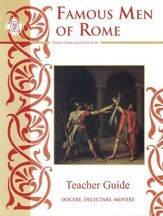 Accompanying Famous Men of Rome, this teacher's guide is a replica of the student guide with answers overlaid. 167 pages, softcover. 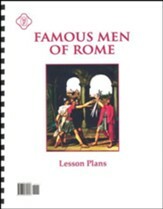 This set of lesson plans is designed to be used with the Memoria Press Famous Men of Rome curriculum (not included and sold-separately). This lesson plan is scheduled around a three- days-per-week schedule. Lesson plans are organized in a grid with boxes for each day's assignments; there are checkboxes by each assignment. 9 pages, comb-binding, paper cover. Please note that these lesson plans are also included in the Memoria PressFifth Grade Curriculum Manual (sold-separately). This set of flashcards accompanies Memoria Press' Famous Men of Rome curriculum. Cards have a name, place, concept, quote, or other term on one side, with a description on the other. 10 sheets with approximately twelve 2" x 3" punch-out, glossy cardstock flashcards on each. 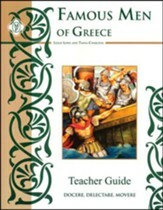 This teacher's guide accompanies Memoria Press' sold-separatelyFamous Men of Greece Student Guide. Full-size reproductions of student pages have the correct answers overlaid; tests and a test answer key are also included. Each test covers 5 lessons. 189 pages, softcover. 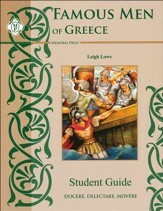 Enhance your study of the Famous Men of Greece with this accompanying workbook from Memoria Press. Highlighting the most important information for students to study and remember from the (sold-separately) text, each chapter features "facts to know," ten interesting vocabulary words, five-to-ten comprehension questions, and enrichment activities. A range of activities such as mapwork, drawing, and timeline events are included. Seven multi-chapter reviews ask students to match vocabulary words with their definitions, identify important people, match quotes to people, note important dates, and place countries, geographical landmarks, and cities on included maps. The appendix includes labeled maps, a timeline, 100 drill questions, and a "who said that?" worksheet. Grades 5-8. 132 pages, non-reproducible, softcover. 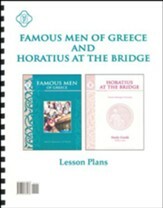 This set of lesson plans is designed to be used with the Memoria Press "Famous Men of Greece" and "Horatius at the Bridge" curriculum. This lesson plan features a two-days-per-week breakdown over 34 weeks. There are checkboxes by each assignment for easy tracking. There is one day that includes a Presidents Quiz from the 200 Questions About American History curriculum. Please Note: These lesson plans are already included in the Memoria Press Seventh Grade Curriculum Manual (sold-separately). This set of flashcards accompanies Memoria Press' Famous Men of Greece curriculum. Cards have a name, place, concept, or other term on one side, with a description on the other. 10 sheets with approximately twelve 2" x 3" punch-out, glossy cardstock flashcards. Highlighting the most important information for students to study and remember from the (sold-separately) text, each chapter features "facts to know," interesting vocabulary words, comprehension questions, and enrichment activities. A range of activities such as mapwork, drawing, and timeline events are included. Seven multi-chapter reviews ask students to match vocabulary words with their definitions, identify important people, match quotes to people, note important dates, and place countries, geographical landmarks, and cities on included maps. The appendix includes labeled maps, a timeline, 100 drill questions, and a "who said that?" worksheet. Grades 5-8. 144 pages, non-reproducible, softcover. 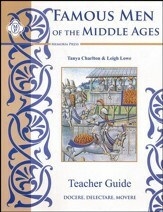 This teacher's guide accompanies the sold-separately Famous Men of the Middle Ages Student Guide by Memoria Press. Full-size student pages are reproduced with the correct answers overlaid. A section of tests and test answers are also included; tests ask students to identify terms, events, quotes, and people, answer short answer questions, define vocabulary, and complete map exercises. 226 pages, softcover. 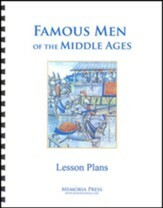 This set of lesson plans from Memoria Press is designed to be used with the "Famous Men of the Middle Ages" curriculum (comprised of the Student Text, Student Guide, Teacher's Guide, and Flashcards, all sold-separately). This lesson plan is arranged in weekly (not daily) blocks; assignments are given for each week over a 34-week period. Each assignment has a checkbox next to it to check off each element as it's completed. 7 pages, comb-binding, paper cover. 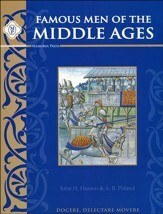 This set of flashcards accompanies Memoria Press' Famous Men of the Middle Ages curriculum. Cards have a name, place, concept, quote, or other term on one side, with a description on the other. 10 sheets with approximately twelve 2" x 3" punch-out, glossy cardstock flashcards on each. This history reader, part of the "Men of the.Ages" series by Memoria Press, presents history through fascinating biographical portraits which students will truly enjoy reading. Chapters cover Lorenzo the Magnificient, Charles V of Germany, Cardinal Wolsey, Wallenstein, Galileo, Cromwell, Peter the Greek, George Washington, Horatio Nelson, Garibaldi and up through Gladstone and Count von Bismarck. 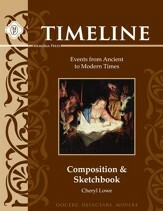 Full-page, full-color illustrations, black-and-white portrait reproductions, and archival photographs are also included. 165 pages, softcover. Grades 6-8. Enhance your study of the Famous Men of Modern Times with this accompanying student guide from Memoria press. Highlighting the most important information for students to study and remember from the (sold-separately) text, each chapter features "facts to know," ten interesting vocabulary words, five-to-ten comprehension questions, and enrichment activities. A range of activities such as mapwork, drawing, and timeline events are included. Seven multi-chapter reviews ask students to match vocabulary words with their definitions, identify important people, match quotes to people, note important dates, and place countries, geographical landmarks, and cities on included maps. The appendix includes labeled maps, a timeline, 100 drill questions, and a "who said that?" worksheet. Grades 6-8. 192 pages, non-reproducible, softcover. 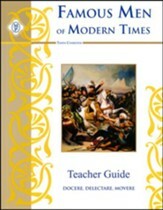 This teacher's guide accompanies the sold-separatelyFamous Men of Modern Times Student Guide. Full-size student pages are reproduced with the correct answers overlaid. A section of tests and test answers are also included; tests ask students to identify terms, events, quotes, and people, answer short answer questions, define vocabulary, and complete map exercises. 192 pages, softcover. 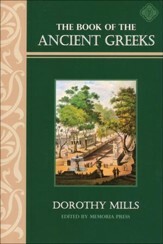 The Book of the Ancient Greeks provides an easy-to-read introduction of the history and civilization of Greece through the conquest of Rome in 146 AD. Integrating quotes from Herodotus, the Odyssey, and other ancient documents, chapters cover famous generals, wars, Greek rule, Greek life, religion, the army, and other elements of Greek Civilization. 386 pages, softcover. 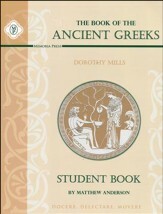 This workbook is designed to accompany the sold-separately The Book of the Ancient Greeks. Lessons provide facts to know (historical, geographical, etc. ), vocabulary words to define, short-answer comprehension questions, and activity ideas. Page numbers for the accompanying textbook are clearly noted at the top of the page. Four review quizzes are also included. 77 non-reproducible pages, softcover. Middle School; Grades 6-8. 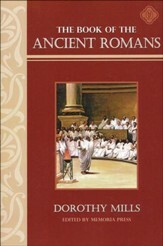 The Book of the Ancient Romans provides an easy-to-read introduction of the history and civilization of Rome from its traditional founding date to its fall in 476 AD. Integrating quotes from Herodotus, the Aeneid, the Odes of Horace, Virgil, Pliny's Letters, and other ancient documents, chapters cover famous generals, wars, Roman rule, Roman life, religion, the army, and other elements of Roman Civilization. 435 pages, softcover. 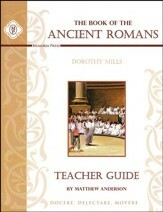 This teacher's guide accompanies Memoria Press' The Book of the Ancient Romans Student Study Guide (sold-separately). Full-size student pages are reproduced with the answers overlaid; a final exam with answer key is also included. Softcover. 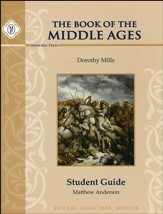 The Book of the Middle Ages is the conclusion to the series, and cover the early middle ages through the close of the middle ages with the Black Death and the passing of feudalism. 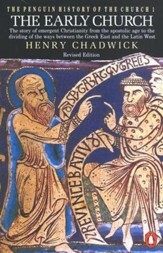 Chapters cover the early church, Byzantine empire, Islam, Charlemagne, Norsemen, the early National States of English and France, monks & monasteries, towns, medieval life, the Hundred Years' War, and more. 240 pages, softcover. This workbook is designed to accompany the The Book of the Middle Ages by Dorothy Mills (sold-separately). Lessons provide facts to know (historical, geographical, etc. ), vocabulary words to define, short-answer comprehension questions, and activity ideas. Review quizzes are also included. Non-reproducible pages, softcover. Middle School; Grades 6-9. 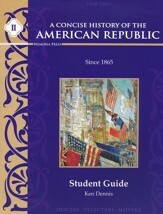 This study guide is designed to accompany the book A Concise History of the American Republic, 2nd Edition, by Samuel Eliot Morison, Henry Steele Commager, and William E. Leuchtenburg, which must be obtained separately. 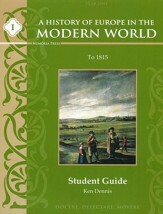 This Year One Study Guide covers the period from pre-1615 life in North American through Reconstruction up until 1877. Each chapter begins with a set of defined terms, places, people, or events; a series of comprehension questions follow. Students will learn about early European exploration, the colonial period, the founding of the United States and development of its government, the War of 1812, developing political parties, the Mexican War, and the Civil War. Social, economic, and political issues are addressed throughout the book. 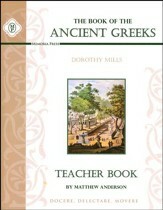 Nineteen chapters are included; the table of contents mentions tests and test answers, but those are in the separate teacher's guide. 45 pages, softcover; consumable workbook (non-reproducible). Grade 9. 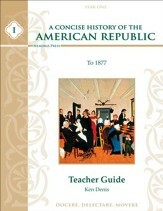 This teacher's guide accompanies the Memoria Press A Concise History of the Americna Republic to 1877 Student Guide, which is sold-separately. Student pages are reproduced with the correct answers overlaid. 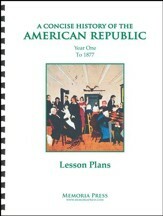 This set of lesson plans is designed to be used with the A Concise History of the American Republic Year 1 to 1877 curriculum from Memoria Press (not included and sold-separately). This lesson plan is scheduled around two days per week with 1-1.5 hours each period; on the first day, students read the assigned chapter and on the second day complete the study guide questions. Lesson plans are organized in square weekly boxes with checkboxes by each assignment. 6 pages, comb-binding, paper cover. 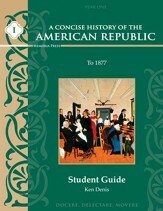 This Year Two Study Guide covers the end of R econstruction (1877) to the Reagan Years (1980). Each chapter begins with a set of defined terms, places, people, or events; a series of comprehension questions follow. 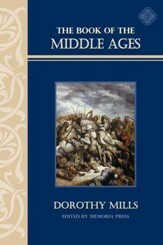 Students will learn about the industrialization of America, the Gilded Age, the settlement of the West, the increase in immigration, the Progressive Era, World War I and its effect on American society, the Great Depression, World War II, the Cold War and Communist threat, the Korean War, the Vietnam War, and the beginning of problems in the Middle East. Social, economic, and political issues are addressed throughout the book. Covers chapters 20-36; the table of contents mentions tests and test answers, but those are in the separate teacher's guide. Softcover; consumable workbook (non-reproducible). Grade 10. 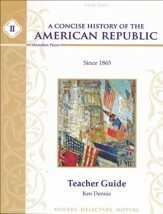 This teacher's guide accompanies the Memoria Press A Consise History of the American Republic Year 2 Student Guide. Student pages are reproduced and the correct answers overlaid. Designed as a supplement to H.A. 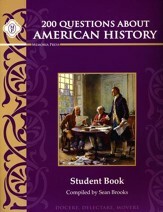 Guerber's The Story of the Thirteen Colonies & The Great Republic, this list of 200 questions covers the basics that everyone should know about American history! 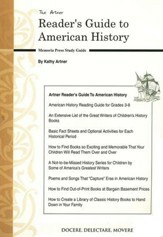 Questions are derived from the Memoria Press-edited Guerber book as well as the book Everything You Need to Know About American History Homework (both sold-separately). A great prep for high school American history. Grades 5-8. 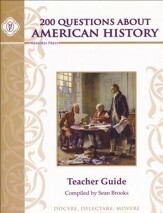 This teacher key accompanies the Memoria Press 200 Questions about American History Student Book. Student pages are reproduced with the correct answers overlaid. Page numbers and the book where the answer is found is noted. This set of cards is designed to be used with the Memoria Press 200 Questions about American History curriculum, but can be used independently or to supplement any American history course. Approximately 3.5" x2.5". Cards have one rounded corner. 203 cards total. Grades 5-7. 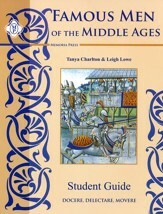 This student guide is designed to be used alongside H.A. 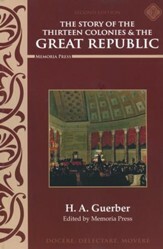 Guerber's The Story of the Thirteen Colonies & The Great Republic volume edited by Memoria Press. This study guide includes important facts, vocabulary, and comprehension questions for each chapter, as well as enrichment activities such as mapwork, drawings, research, writing assignments, and more. Grades 5-8. This American history text by H.A. 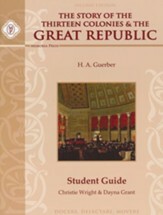 Guerber combines two volumes, The Story of the Thirteen Colonies and The Story of the Great Republic, into one edited volume perfect for a one-year survey for a middle school American history course. Written with a narrative-based engaging tone, students will enjoy reading these stories that make history come alive. Written at the turn of the 20th century. Grades 5-8. This teacher guide accompanies the Story of the Thirteen Colonies & The Great Republic Student Guide and contains a reproduction of the student workbook with the correct answers overlaid. Grades 5-8. 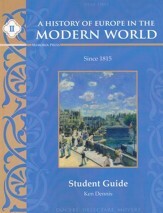 This student guide is designed to accompany the The History of Europe in the Modern Worlds texts by Palmer, Colton, and Kramer (eleventh editions) (must be obtained separately). Focusing on the history of ideas, biographies, and key cultural developments, particularly in Western European and American societies, these texts will help familiarize students with the greatest minds and cultures of preceding generations. These study guides provide comprehension questions that help students focus on the most important information from each chapter, and cannot be used without the text. Year/Volume 1 (to 1815) covers Western European and American societies from 1600-1815, and explores themes such as the right to claim power and govern others, the role of religion in society, and the common elements of long-lasting cultures. 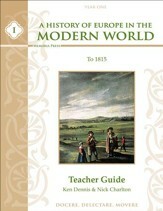 This Teacher Guide accompanies the A History of Europe in the Modern World to 1815, Volume 1 Student Guide. 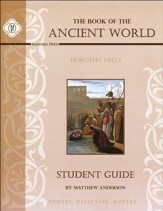 Student guide pages are reproduced with the correct answers overlaid; this guide also includes teaching guidelines, and three trimester finals with keys. Softcover. 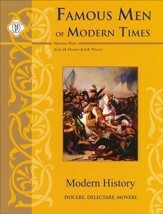 Year/Volume 2 (since 1815) covers the Napoleonic Age (1815) to the Cold War (late-1980s), including the effects of industrialization on European nations, the unstable balance of power between Britain, France, Russia, Prussia, and Austria-Hungary, the creation of Germany and Italy as sovereign nations, the Russian Revolution, World War I and its effects on Europe, the collapse of the world economy, the rise of Fascism in Italy, and National Socialism (Nazism) in Germany, and World War II and its effects. 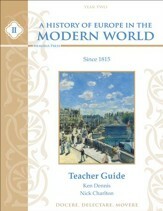 This teacher guide accompanies the A History of Europe in the Modern World Since 1815, Volume II from Memoria Press. 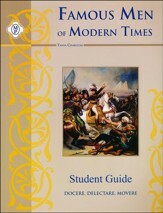 Student guide pages are reproduced with the correct answers overlaid; this guide also includes teaching guidelines, and three trimester finals with keys. Softcover. 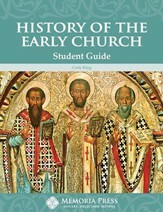 The Memoria Press History of the Early Church Student Guide is helpful study guide for students working through The Early Church by Henry Chadwick and The History of the Church by Eusebius. Students will progress from the history from Israel to an investigation of the history of the church as written by Eusebius in the 4th Century. A great way to study the early documents Christians began investigating almost 1,700 years ago! Full-year course. Grades 9 & up. 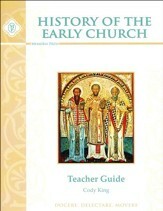 This teacher guide accompanies the History of the Early Church Student Guide from Memoria Press. Reduced-size student pages have the correct answers overlaid; the margins are filled with helpful teacher notes that include chapter summaries, review notes, key terms, and notes on the lesson content and readings. Three tests as well as a final exam (short-answer questions) are included along with answer keys. Softcover. Henry Chadwick paints a portrit of the early Christians, constructed out of a mosaic of the ancient sources, giving the general reader a fresh awareness of the life of this momentous community. The Church is seen in close relation to its original setting in Jewish and Gentile society, toward which the Christians were indebted, andyet at the same time, with the zeal of martyrs, defiant. The internal controversies among the Christians are analysed with a rare clarity. 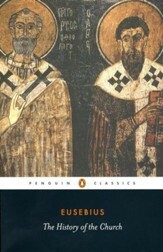 In conclusion, the author examines the conversion of Constantine and the suppression of paganism of Theodosius, which led to the development of the social and political role of the Church, and the contrasting institutions of Papacy and Monasticism, which continue to assert the independence of merely secular values. Bishop Eusebius, a learned scholar who lived most of his life in Caesarea in Palestine, broke new ground in writing The History of the Church and provided a model for all later ecclesiastical historians. 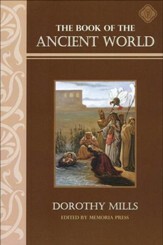 In tracing the history of the Church from the time of Christ to the Great Persecution at the beginning of the fourth century and ending with the conversion of the Emperor Constantine, he tried to show the purity and continuity of the doctrinal traditions of Christianity in its struggle against persecutors and heretics, and supported his account by extensive quotations from original sources to a degree hitherto unknown. G.A. Williamson's translation puts clarity first. Tedious repetitions have gone, sentences and sections are kept short, and clear editorial headings signpost the reader. This book has always been a source of vital and fascinating information: in this translation (the new edition of which includes a Who's Who in Eusebius) it is also readable. These color wall maps are perfect for any classical education classroom this set includes individual maps of Greece, Italy, the City of Rome, and the Roman Empire. These maps contain all the important places in the classical world, including the famous cities, countries, rivers, lakes, mountains, and oceans. Grades 3 & up. These color wall maps are perfect for any classical education classroom this set includes individual maps of Greece, Italy, the City of Rome, and the Roman Empire. These maps contain all the important places in the classical world, including the famous cities, countries, rivers, lakes, mountains, and oceans. Grades 3 & up. Large size: 22" x 34". Do your elementary students love to read---except for their history text? Give them well-written, factual, and memorable fiction that emphasizes heroism and character, and watch the sparks of interest ignite. Each unit features extensive reading lists, basic fact sheets (dates, people, events); prose, poetry, and songs; and optional activities. Includes teacher's guide and an appendix on finding out-of-print books. Grades 3 to 8. 51 pages, spiralbound softcover. 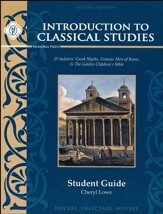 Memoria Press' Introduction to Classical Studies provides elementary and middle-school students with an introduction to the foundations of a classical curriculum. This course revolves around the books D'Aulaires' Greek Myths, Famous Men of Rome, and The Golden Children's Bible (not-included and sold-separately). The goals of the Bible curriculum are to familiarize children with Scripture, help them understand biblical history & geography, and to create lasting memories of the people and events of the Bible. The Greek myths will help familiarize students with universal stories that have powerfully influenced astronomy, culture, and language. Finally, they'll gain knowledge of the history of Rome from its founding to its fall. This teacher's guide features two pages of lesson plans for each week. The first page provides the week's daily schedule with checkboxes for readings, memory work, art, and other projects if available for that week. 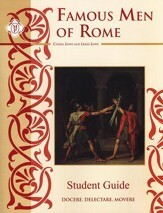 The other page features Roman history questions (with answers) and honors work. 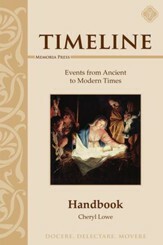 Timeline work, Bible verse memorization, and vocabulary is also integrated. 30 units for a 30-week school year. Multiple scheduling options are discussed for families who want an alternative other than reading the three books simultaneously. 90 pages plus appendix with additional materials. 2nd Edition. Grades 3-8. This student guide is organized by weekly lessons spread over two pages. The first page features room to record memory work; words to know and expressions to know for each day's reading (if applicable), checklists for art assignments, and timeline entries. Memory verses are also included. 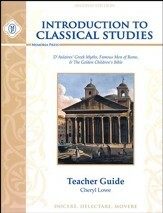 The second page features Roman History questions with blank lines on which to write the answers. Directions for assignments aren't included, as they're provided in the sold-separately teacher's guide. 30 units for a 30-week school year. 89 pages including appendix with additional materials. 2nd Edition. Grades 3-8. Young students will enjoy this classic collection of stories of Great Americans. Written in 1895, this reader features helps for beginning readers to sound-out long words; the original illustrations are retained with some new ones added as well. 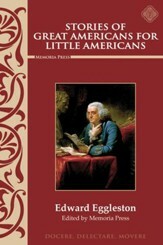 Chapters provide vignettes of the Battle of Princeton, Benjamin Franklin, Thomas Jefferson's wide-ranging knowledge, Lewis & Clark, Eliza Lucas' plantation, Benjamin West, the capture and rescue of Daniel Boone's daughter and her friends, Washington Irving's stories, the creation of the Star-Spangled Banner, and more. Grades 1-3.134 pages, softcover.